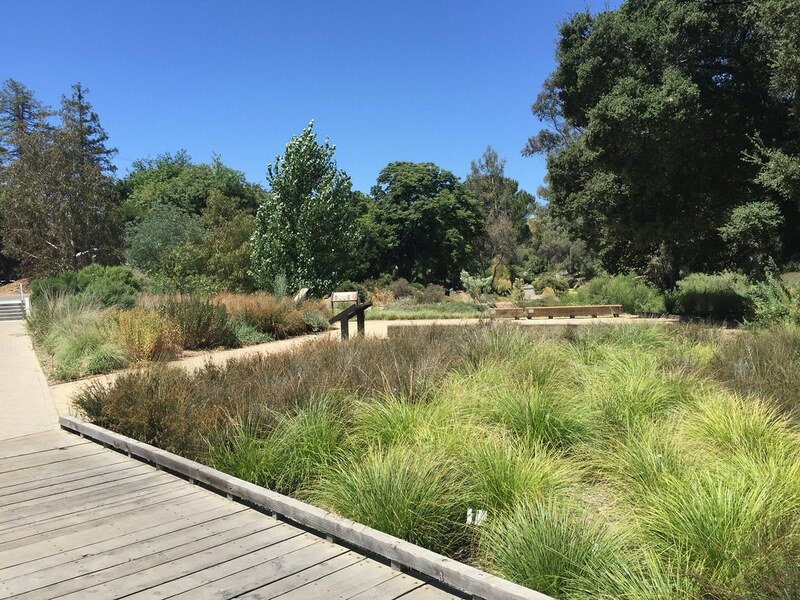 The Arboretum GATEway Garden is a connection point between the UC Davis campus and the City of Davis, showcasing local native plants in a striking modernist design. The garden celebrates our local natural and cultural heritage, with plants that are native to our local region (within 20 miles of this site). Look for exhibits about the history of Putah Creek, local wildlife, and the importance of native plants to the Patwin people, the original inhabitants of the area. The garden was created through partnerships with local residents, businesses and non-profits. It was planted by volunteers and features beautiful community-built art, with a landmark gateway sculpture and a mural celebrating our native valley oaks. The garden demonstrates best practices in sustainable landscape design. The bioswale (BY-o-swale), a shallow channel filled with plants that mimics a natural wetland, filters storm water runoff before it reaches the Arboretum Waterway. 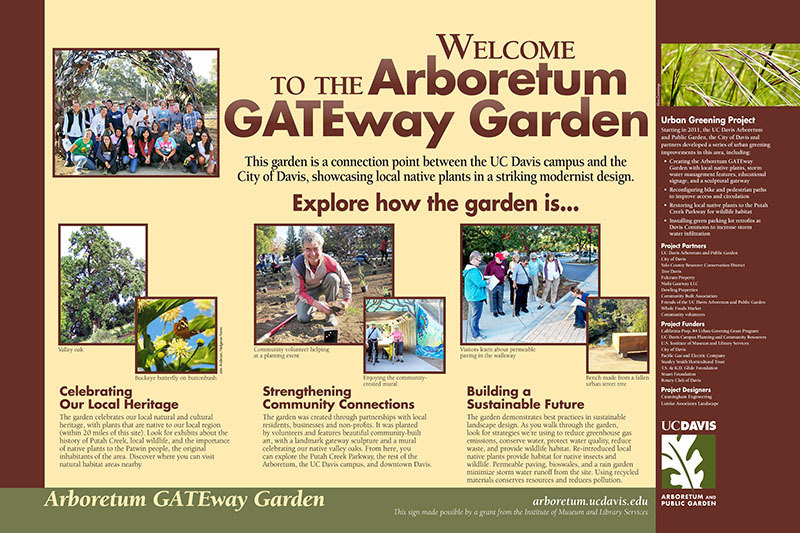 The Shovel Gateway marks the transition between downtown Davis and the Arboretum and is the first city-funded artwork to be installed on the UC Davis campus. It dovetails with city and campus goals to improve pedestrian and bicycle connections and to promote the campus and downtown area as an arts destination.